Same time same bat channel but now at the westfort. Everything is same but we will be in the basement at the westfort on brown st. I had a blast yesterday and got to try out Street and Super Pro classes, it's the only chance I've had to see what it's like to race using a trans brake and delay box. Very fun stuff, I highly recommend everyone coming out next weekend to the event for some friendly competition with fellow car guys. Who on here is planning on going? I'll be there trying to win the pot! This is happening tomorrow afternoon from 2-5pm at the Westfort! Food, drinks, fun, cash and swag prizes! Come out to this fun car event, what else are you going to do with your car put away! 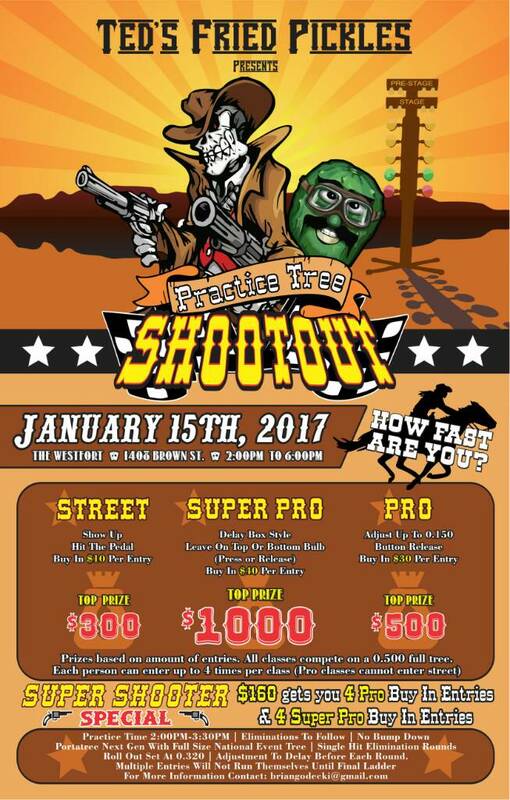 Looking to see everyone there running against me for the best RT! Yeah, somebody walked out of there with a sweet 1st place Street camshaft trophy and cash in their pocket. I wish I knew the guy! A HUGE thanks to Brian for hosting this, buying the tree, making trophies, providing pizza, pop and chips - it was very well done especially for a first event!